Endless aisle is allowing customers to make use of technologies such as specially designed in-store kiosks or other intuitive systems to order items that are currently out-of-stock in that particular brick-and-mortar store. It is a concept that extends beyond the inventory that in tangible form is available in the store at a given point in time. Thus, endless aisle allows retailers to forge a strong link between customer demand and inventory. Retail companies that have been quick to embrace cross-channel strategies have already begun adopting the endless aisle technology to boost their sales further. Retailers can downsize unnecessary floor area of their brick-and-mortar store. This trimming of floor space will therefore result in higher sales per square foot. Implementing endless aisle also helps retail owners counteract in-store revenue bleeding as a result of showrooming. Retail companies can thus capitalize on reduced cost of rentals and optimize the available floor space. Further, retailers can reduce the effort of displaying large products physically at the store with the implementation of endless aisle. Products that have low inventory turnover can thus be removed from the shelves of the store. Endless aisle can help boost conversion rate due to the enhanced shopping feature at the physical store and help improve customer loyalty. With the advent of endless aisle, the need to depend on warehouses to stock-up merchandise is diminished to a large extent as retailers can enter into tie-ups with manufacturers to ship the ordered products directly to the consumers from the manufacturer’s end. In-store consumers can enjoy the comfort of e-shopping without compromising on the traditional ‘touch and feel’ factor. Also, real-time visibility of available products at the physical and virtual store empowers the customers to shop on their own terms. 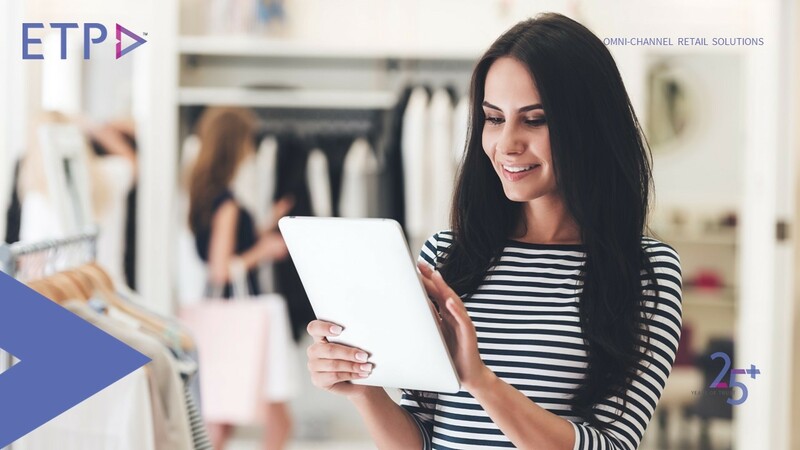 With the help of data processing and analytics, retailers can display only those products that have a high turnover in-store while offering the not-so-popular merchandise through kiosks, tablets or computers so that customers can try and buy at the same time. As the consumers of today are in the driver’s seat, demanding the best service and setting up high expectations, retailers must opt for investing in the right tools and technology to successfully implement endless aisle in their business thus ensuring that they do not end-up facing the reality of lost sales situations.